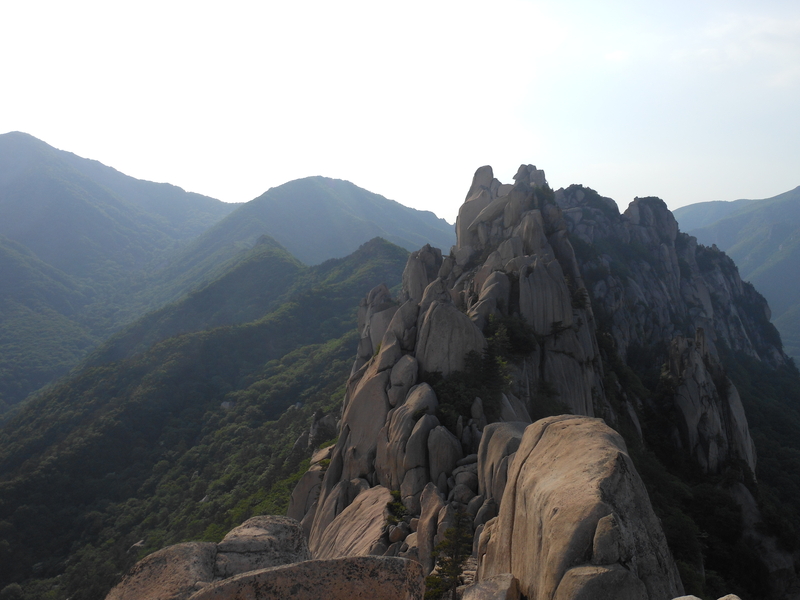 Oh yeah, I went to Seoraksan National Park…about a month ago. Don’t judge me for putting the picture up so late! I’ve hit the skids in a major way in my writing. 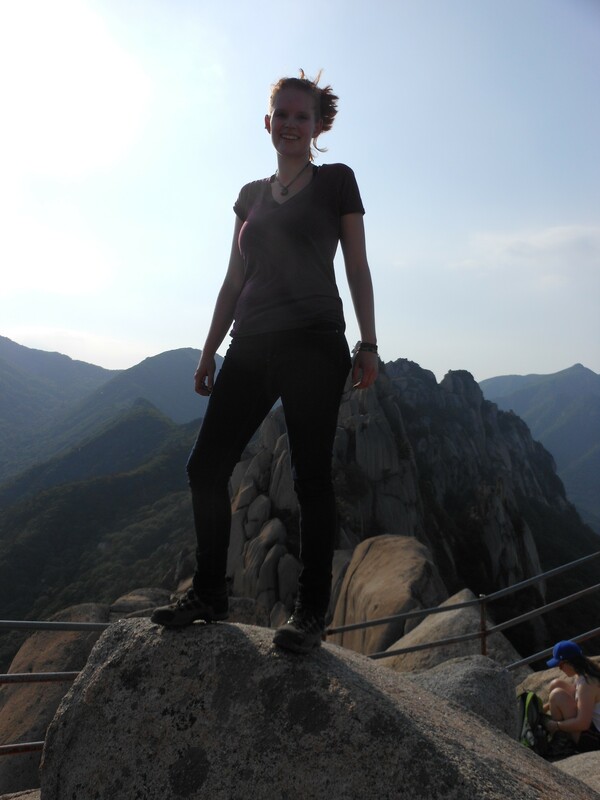 For about a month, life in Korea has picked up professionally, personally, and in terms of how much time I have to devote to writing. The fiction I’d started when I first arrived is hanging out in space, the characters in suspended animation. I have all these half-formed ideas swimming in my head and I can’t seem to find the interface between thinking and putting finger to keyboard (the awkward contemporary equivalent of that ancient adage with the pen and paper). Ironically, I’m teaching a dearth of writing classes this semester. Maybe my students’ syntactical confusion and half-formed arguments have infected my own writing. Anyway, I apologize for the low volume of posts this month. Likely this writer’s block will break soon, like the drought that’s hanging over the Korean peninsula at the moment. Come on, storms! Think of it as gathering material for future fictional characters.